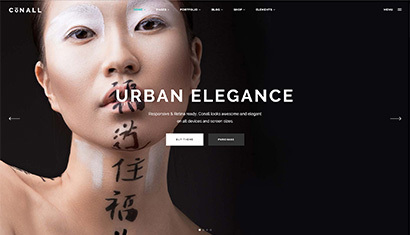 Level Best specialise in dilapidation work to existing warehouses. 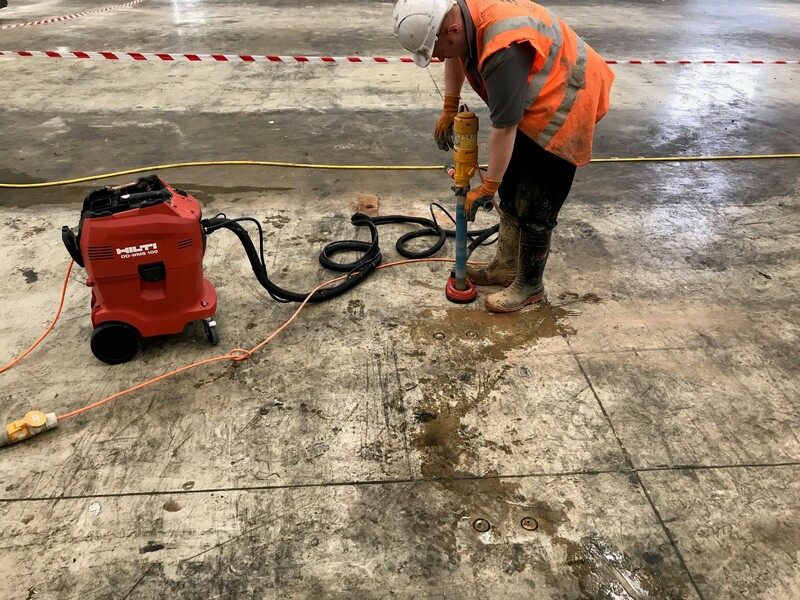 The above photo shows us using the latest in high tech coring equipment whilst removing racking bolts from this warehouse floor slab. Level Best carry out numerous different types of concrete floor joint repairs. 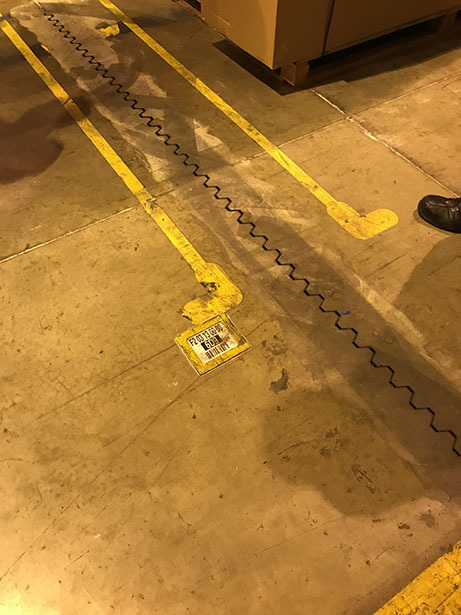 The above photograph shows a typical damaged floor joint in a very busy distribution centre warehouse. The next photograph shows the Signature floor joint repair system complete. 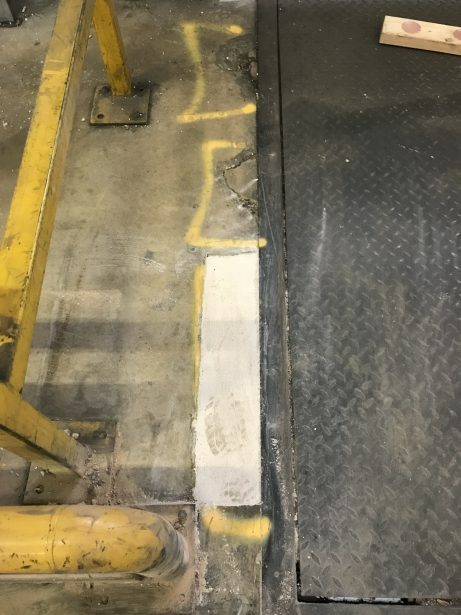 The unique profile of the joint repair system allows extremely smooth fork lift trafficking which reduces chatter and disturbance when the fork lift reaches the floor joint. 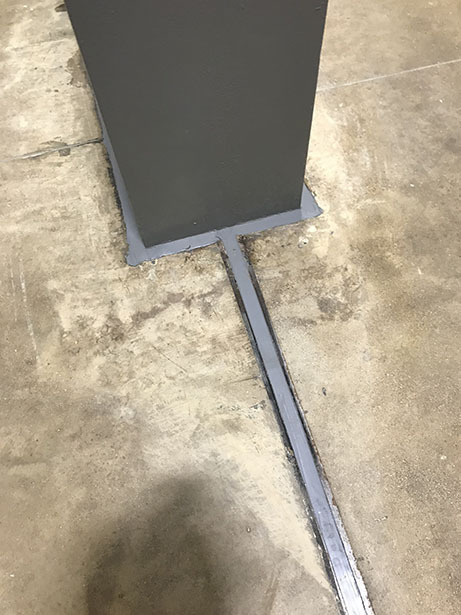 This inturn vastly reduces the amount of damage to both the floor joint itself and the fork lift, which has an obvious knock on effect to maintanence costs for the end users and warehouse operators. 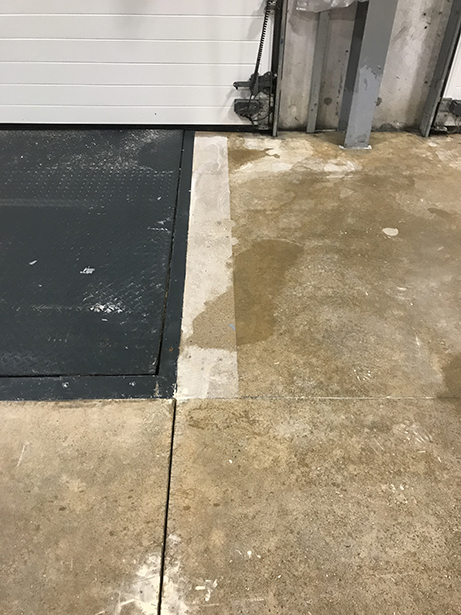 Level Best Concrete Flooring Limited employ concrete floor surveyors with a lengthy and successful track record in completing concrete floor repairs on-time, within-budget and with the highest level of satisfaction for end users. 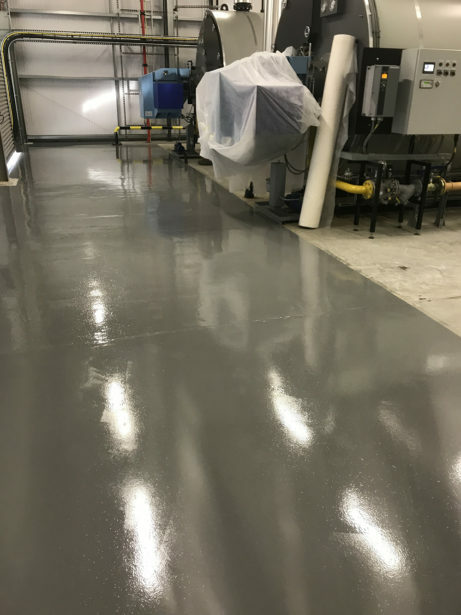 The company is capable of carrying out industrial concrete floor repairs across the country and almost always at very short notice. We predominantly carry out the repairs to floor joints and cracks in advance of carrying out the flor polishing and cleaning using the Floor Renovation system. Should any existing racking require removal, we fill and repair the damaged floor following removal of the racking bolt fixings. 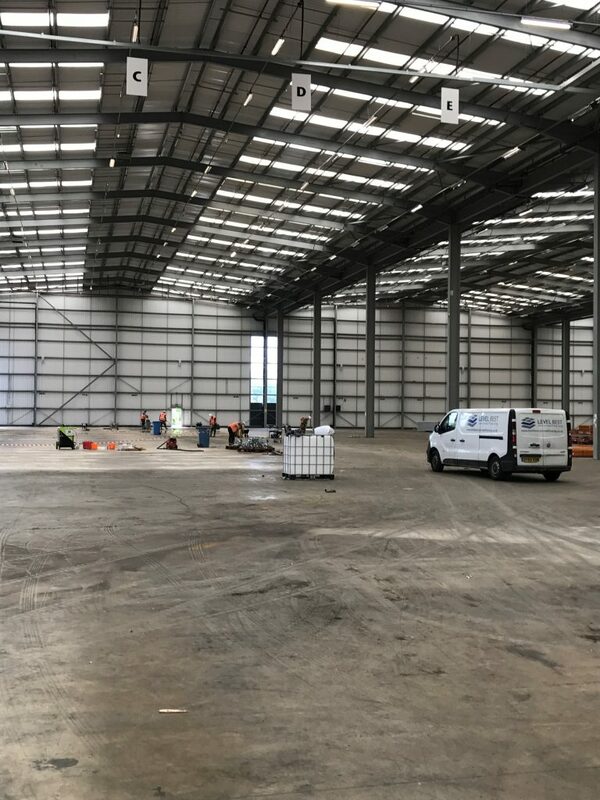 Once the floor has been returned to a structurally sound state then Level Best Concrete Flooring polishing teams take over and revitalise the concrete surface to vastly improve the ability to sell or re let the warehouse buildings. We frequently arrange site visits with Factory Managers and Health & Safety advisors to ensure the warehouse floors are safe for operatives to use the busy logistic centres. Our friendly and helpful teams are more than capable of assisting building surveyors throughout the sometimes awkward dilapidation process and always ensure the best long term solution for the benefit of all parties concerned is agreed before the concrete floor repair works commence. Please see the extract below taken from the latest edition of TR34 2013 edition, which describes how to view cracks within concrete floor slabs. 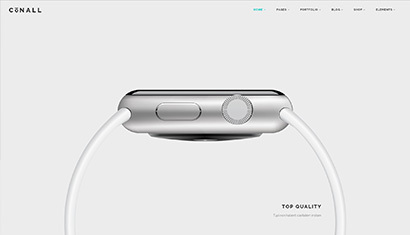 As with joints, any cracks that develop should be monitored and, where appropriate, repaired. Durability of a trafficked crack arris is subject to the same wear characteristic of a trafficked joint with the same relationship to opening and movement. With regard to serviceability, if a crack withstands trafficking without wear, it may be better to leave it untreated. 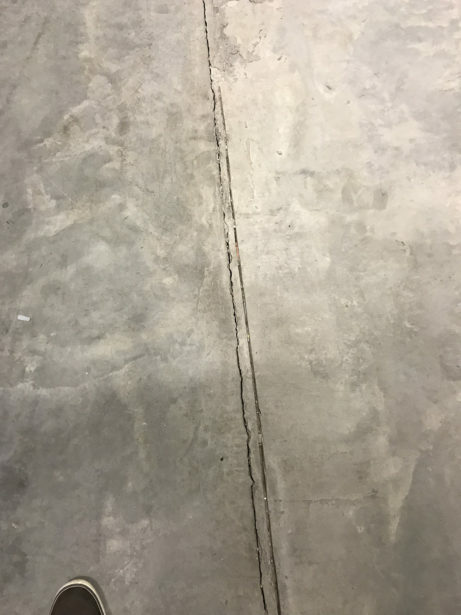 Cracks should be monitored as part of the normal floor inspection and maintenance procedures. It is important to remember that in the case of shrinkage (restraint) cracks, the crack opening can result in smaller openings at joints, simply transferring the maintenance attention accordingly. If the arris of a crack begins to spall or ravel, it should be treated to prevent further deterioration (in the same manner as discussed regarding joints). However, the requirement to treat or repair a crack should be balanced against the dormant status of the crack, i.e. ideally the crack should not be subject to further opening after treatment as a hard, durable, sealant/resin material will perform well under trafficking but will not accommodate future opening. 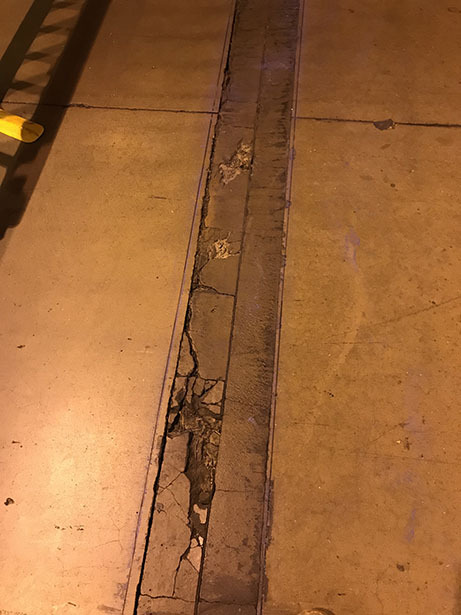 Providing wear at the crack arris does not hamper floor use nor the opening of a crack lead to structural issues, it is advisable to leave treatment as late as possible (e.g. end of the period of defects liability for a new floor) as the treatment will remedy the arris damage and restore serviceability. Repeated treatment of the same crack whilst the floor continues to shrink can lead to a less effective repair in the long run. Where cracks are not dormant but some arris support is considered essential, semi flexible sealants can be used. The above photograph shows the completed dock leveller repair by Level Best. Not only does it look great, but its also structurally sound and will be able to withstand the constant trafficking from the fork lift trucks as they empty the lorries and drive onto the warehouse floor. Regular maintenance of the joints within your warehouse floor is paramount to the long term performance of the concrete floor. This photograph shows the concrete delaminating and looking really patchy. The joint within the floor is already beginning to break down as well.